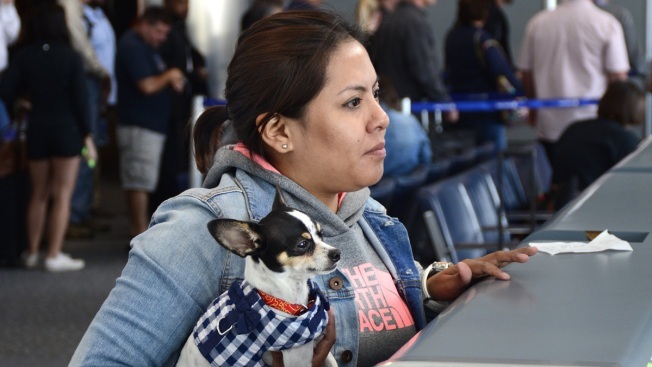 In this Aug. 25, 2016, file photo, a passenger traveling with her pet dog talks to an airline agent at a boarding gate at Denver International Airport. If you're planning a flight longer than eight hours, Delta Air Lines says you can't bring an emotional-support animal with you. Delta Air Lines wants to know if your pet can behave before the animal can get on a flight. 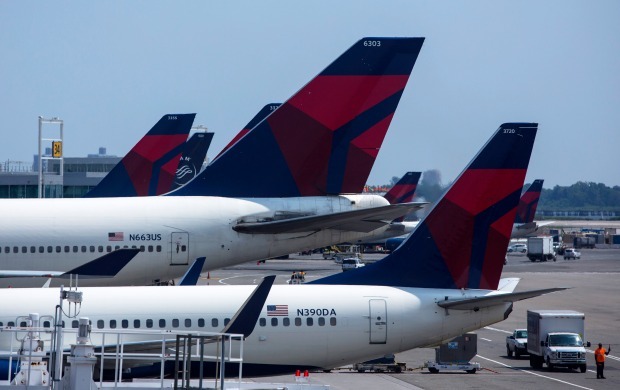 Delta said it will now require owners to provide detailed information before an animal can fly in the passenger cabin, including an assurance that it is trained.